This panel discussion, led by Maya Benton, the curator of Roman Vishniac Rediscovered, situates Vishniac’s work in the context of historical, artistic and contemporary developments, exploring his relevance and resonance today. Maya Benton is a curator at the International Center of Photography, New York. 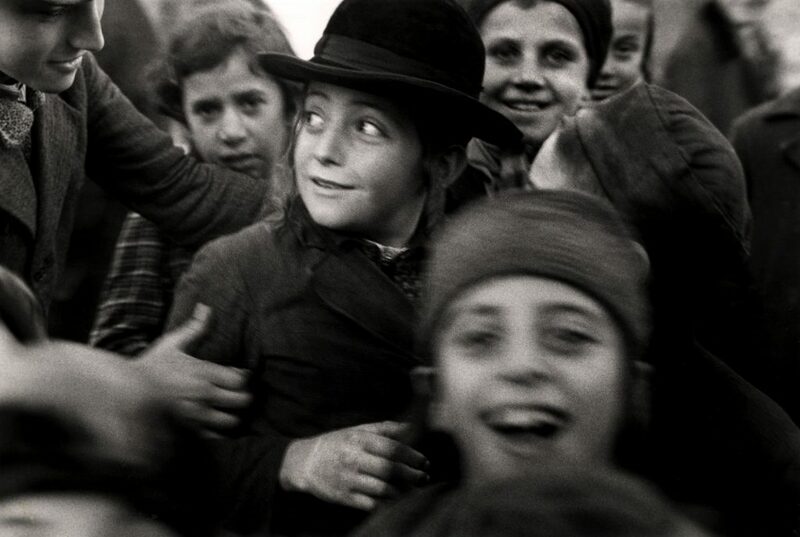 She established the Roman Vishniac Archive at ICP in 2008. She has curated numerous traveling exhibitions and is a frequent lecturer and contributor to magazines and catalogues, addressing themes of modern and contemporary photography, Israeli art and Jewish visual and material culture. She is a graduate of Brown University, Harvard University and the Courtauld Institute of Art in London. Maya is currently organizing a traveling exhibition of photographer Gillian Laub’s contemporary images of segregated proms and racially motivated violence in the American South. Her next book will be an anthology of seminal texts on Jews and Photography. Hans Rooseboom (1966) is one of the two curators of photography at the Rijksmuseum. He has (co-) curated many exhibitions, including Modern Times. Photography in the 20th Century (Rijksmuseum Amsterdam, 2014-2015) and New realities. Photography in the 19th Century (Rijksmuseum Amsterdam 2017). Both shows were accompanied by books with the same titles (co-authored with Mattie Boom). He has also written on Man Ray (Électricité. Ten Advertising Photographs by Man Ray, Amsterdam 2013), Daguerre (What’s Wrong with Daguerre? Reconsidering Old and New Views on the Invention of Photography, Amsterdam 2010) and the first 50 years of Dutch professional photography. He is now preparing a thematically organized history of photography (to be published 2019). Laura Wexler is Professor of American Studies, Professor of Women’s, Gender, and Sexuality Studies, and Co-Chair of the Women’s Faculty Forum at Yale. Wexler is the author of Tender Violence: Domestic Visions in an Age of U. S. Imperialism (University of North Carolina Press, 2000) and Pregnant Pictures (Routledge, 2000), co–authored with photographer Sandra Matthews. Tender Violence was awarded the Joan Kelley Memorial Prize of the American Historical Association for the best book in women’s history and/or feminist theory. She also co–edited, with Laura Frost, Amy Hungerford and John MacKay, the volume Interpretation and the Holocaust, as a special issue of the Yale Journal of Criticism. In 1999 she founded the Photographic Memory Workshop at Yale. Hosted by The Courtauld Institute of Art Sackler Research Forum.